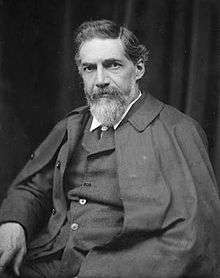 Sir William Matthew Flinders Petrie, FRS (3 June 1853 – 28 July 1942), commonly known as Flinders Petrie, was an English Egyptologist and a pioneer of systematic methodology in archaeology and preservation of artefacts. He held the first chair of Egyptology in the United Kingdom, and excavated many of the most important archaeological sites in Egypt in conjunction with his wife, Hilda Petrie. 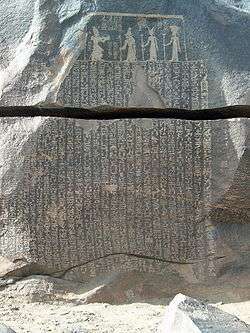 Some consider his most famous discovery to be that of the Merneptah Stele, an opinion with which Petrie himself concurred. Petrie developed the system of dating layers based on pottery and ceramic findings. William Matthew Flinders Petrie was born in Maryon Road, Charlton, Kent, England, the son of William Petrie (1821–1908) and Anne (née Flinders) (1812–1892). Anne was the daughter of Captain Matthew Flinders, surveyor of the Australian coastline, spoke six languages and was an Egyptologist. William Petrie was an electrical engineer who developed carbon arc lighting and later developed chemical processes for Johnson, Matthey & Co.
Petrie was raised in a Christian household (his father being Plymouth Brethren), and was educated at home. He had no formal education. His father taught his son how to survey accurately, laying the foundation for his archaeological career. At the age of eight, he was tutored in French, Latin, and Greek, until he had a collapse and was taught at home. He also ventured his first archaeological opinion aged eight, when friends visiting the Petrie family were describing the unearthing of the Brading Roman Villa in the Isle of Wight. The boy was horrified to hear the rough shovelling out of the contents, and protested that the earth should be pared away, inch by inch, to see all that was in it and how it lay. "All that I have done since," he wrote when he was in his late seventies, "was there to begin with, so true it is that we can only develop what is born in the mind. I was already in archaeology by nature." On 26 November 1896, Petrie married Hilda Urlin (1871–1957) in London. They had two children, John (1907–1972) and Ann (1909–1989). They originally lived in Hampstead, where an English Heritage blue plaque now stands on the building they lived in, 5 Cannon Place. Their son was John Flinders Petrie, the mathematician, who gave his name to the Petrie polygon. In 1933, on retiring from his professorship, he moved permanently to Jerusalem, where he lived with Lady Petrie at the British School of Archaeology, then temporarily headquartered at the American School of Oriental Research (today the W. F. Albright Institute of Archaeological Research). When he died in 1942, Petrie donated his head (and thus his brain) to the Royal College of Surgeons of London while his body was interred in the Protestant Cemetery on Mt. Zion. World War II was then at its height, and the head was delayed in transit. After being stored in a jar in the college basement, its label fell off and no one knew who the head belonged to. It was identified however, and is now stored, but not displayed, at the Royal College of Surgeons of London. The chair of Edwards Professor of Egyptian Archaeology and Philology at University College London was set up and funded in 1892 by a bequest of Amelia Edwards following her sudden death in that year. Petrie's supporter since 1880, Edwards had instructed that he should be its first incumbent. He continued to excavate in Egypt after taking up the professorship, training many of the best archaeologists of the day. In 1913 Petrie sold his large collection of Egyptian antiquities to University College, London, where it is now housed in the Petrie Museum of Egyptian Archaeology. One of his students was Howard Carter who went on to discover the tomb of Tutankhamun. In his teenage years, Petrie surveyed British prehistoric monuments (commencing with the late Romano-British 'British Camp' that lay within yards of his family home in Charlton) in attempts to understand their geometry (at 19 producing the most accurate survey of Stonehenge). His father had corresponded with Piazzi Smyth about his theories of the Great Pyramid and Petrie travelled to Egypt in early 1880 to make an accurate survey of Giza, making him the first to properly investigate how they were constructed (many theories had been advanced on this, and Petrie read them all, but none were based on first hand observation or logic). Petrie's published report of this triangulation survey, and his analysis of the architecture of Giza therein, was exemplary in its methodology and accuracy, disproved Smyth's theories and still provides much of the basic data regarding the pyramid plateau to this day. On that visit, he was appalled by the rate of destruction of monuments (some listed in guidebooks had been worn away completely since then) and mummies. He described Egypt as "a house on fire, so rapid was the destruction" and felt his duty to be that of a "salvage man, to get all I could, as quickly as possible and then, when I was 60, I would sit and write it all." Returning to England at the end of 1880, Petrie wrote a number of articles and then met Amelia Edwards, journalist and patron of the Egypt Exploration Fund (now the Egypt Exploration Society), who became his strong supporter and later appointed him as Professor at her Egyptology chair at University College London. Impressed by his scientific approach, they offered him work as the successor to Édouard Naville. Petrie accepted the position and was given the sum of £250 per month to cover the excavation's expenses. In November 1884, Petrie arrived in Egypt to begin his excavations. He first went to a New Kingdom site at Tanis, with 170 workmen. He cut out the middle man role of foreman on this and all subsequent excavations, taking complete overall control himself and removing pressure on the workmen from the foreman to discover finds quickly but sloppily. Though he was regarded as an amateur and dilettante by more established Egyptologists, this made him popular with his workers, who found several small but significant finds that would have been lost under the old system. Famine Stela is an inscription located on Sehel Island. In 1886, while working for the Egypt Exploration Fund, Petrie excavated at Tell Nebesheh in the Eastern Nile Delta. This site is located 8 miles southeast of Tanis and, among the remains of an ancient temple there, Petrie found a royal sphinx, now located at the Museum of Fine Arts, Boston. By the end of the Tanis dig, he ran out of funding but, reluctant to leave the country in case this was renewed, he spent 1887 cruising the Nile taking photographs as a less subjective record than sketches. During this time, he also climbed rope ladders at Sehel Island near Aswan to draw and photograph thousands of early Egyptian inscriptions on a cliff face, recording embassies to Nubia, famines and wars. By the time he reached Aswan, a telegram had reached there to confirm the renewal of his funding. He then went straight to the burial site at Fayum, particularly interested in post-30 BC burials, which had not previously been fully studied. He found intact tombs and 60 of the famous portraits, and discovered from inscriptions on the mummies that they were kept with their living families for generations before burial. Under Auguste Mariette's arrangements, he sent 50% of these portraits to the Egyptian department of antiquities. However, later finding that Gaston Maspero placed little value on them and left them open to the elements in a yard behind the museum to deteriorate, he angrily demanded that they all be returned, forcing Maspero to pick the 12 best examples for the museum to keep and then returning 48 to Petrie, which he sent to London for a special showing at the British Museum. Resuming work, he discovered the village of the Pharaonic tomb-workers. In 1890, Petrie made the first of his many forays into Palestine, leading to much important archaeological work. His six-week excavation of Tell el-Hesi (which was mistakenly identified as Lachish) that year represents the first scientific excavation of an archaeological site in the Holy Land. Petrie surveyed a group of tombs in the Wadi al-Rababah (the biblical Hinnom) of Jerusalem, largely dating to the Iron Age and early Roman periods. Here, in these ancient monuments, Petrie discovered two different metrical systems. From 1891, he worked on the temple of Aten at Tell-el-Amarna, discovering a 300-square-foot (28 m2) New Kingdom painted pavement of garden and animals and hunting scenes. This became a tourist attraction but, as there was no direct access to the site, tourists wrecked neighbouring fields on their way to it. This made local farmers deface the paintings, and it is only thanks to Petrie's copies that their original appearance is known. Mr. Flinders Petrie, a contributor of interesting experiments on kindred subjects to Nature, informs me that he habitually works out sums by aid of an imaginary sliding rule, which he sets in the desired way and reads off mentally. He does not usually visualise the whole rule, but only that part of it with which he is at the moment concerned. I think this is one of the most striking cases of accurate visualising power it is possible to imagine. During the field season of 1895/6, at the Ramesseum, Petrie and the young German Egyptologist Wilhelm Spiegelberg became friends. Spiegelberg was in charge of the edition of many texts discovered by his British colleague, and Petrie offered important collections of artefacts to the University of Strasbourg. In 1897, the Kaiser-Wilhelms-Universität Straßburg gratefully conferred to Petrie the title of doctor honoris causa, and in June 1902 he was elected a Fellow of the Royal Society (FRS). In 1923, Petrie was knighted for services to British archaeology and Egyptology. The focus of Petrie's work shifted permanently to Palestine in 1926 (although he did become interested in early Egypt, in 1928 digging a cemetery at Luxor that proved so huge that he devised an entirely new excavation system, including comparison charts for finds, which is still used today). He began excavating several important sites in the south-west of Palestine, including Tell el-Jemmeh and Tell el-Ajjul. His painstaking recording and study of artefacts set new standards in archaeology, saying "I believe the true line of research lies in the noting and comparison of the smallest details." By linking styles of pottery with periods, he was the first to use seriation in Egyptology, a new method for establishing the chronology of a site. Flinders Petrie was also responsible for mentoring and training a whole generation of Egyptologists, including Howard Carter. After his death, his wife, Hilda Petrie created a student travel scholarship to Egypt on the Centennial of Petrie's birth in 1905. Petrie remains a controversial figure for his pro-eugenics views and opinions on other social topics, which spilled over into his disputes with the British Museum's Egyptology expert, E. A. Wallis Budge. Budge's contention that the religion of the Egyptians was essentially identical to the religions of the people of northeastern and central Africa was regarded by his colleagues as impossible, since all but a few followed Petrie in his contention that the culture of Ancient Egypt was derived from an invading Caucasoid "Dynastic Race" which had conquered Egypt in late prehistory and introduced the Pharaonic culture. Petrie was a dedicated follower of eugenics, believing that there was no such thing as cultural or social innovation in human society, but rather that all social change is the result of biological change, such as migration and foreign conquest resulting in interbreeding. Petrie claimed that his "Dynastic Race", in which he never ceased to believe, was a "fine" Caucasoid race that entered Egypt from the south in late predynastic times, conquered the "inferior" and "exhausted" "mulatto" race then inhabiting Egypt, and slowly introduced the finer Dynastic civilisation as they interbred with the inferior indigenous people. Petrie, who was also affiliated with a variety of far right-wing groups and anti-democratic thought in England and was a dedicated believer in the superiority of the Northern peoples over the Latinate and Southern peoples, derided Budge's belief that the ancient Egyptians were an African people with roots in eastern Africa as impossible and "unscientific", as did his followers. His involvement in Palestinian archaeology was examined in the exhibition "A Future for the Past: Petrie's Palestinian Collection". The Petrie Medal was created in celebration of Petrie's seventieth birthday, when funds were raised to commission and produce 20 medals to be awarded “once in every three years for distinguished work in Archaeology, preferably to a British subject”. The first medal was awarded to Petrie himself (1925), and the first few recipients included Sir Aurel Stein (1928), Sir Arthur Evans (1931), Abbé Henri Breuil (1934), Prof J.D. Beazley (1937), Sir Mortimer Wheeler (1950), Prof J.B. Wace (1953), Sir Leonard Woolley (1957). A number of Petrie's discoveries were presented to the Royal Archaeological Society and described in the society's Archaeological Journal by his good friend and fellow archaeologist Flaxman Charles John Spurrell. Petrie published a total of 97 books. "The Tomb-Cutter’s Cubits at Jerusalem,” Palestine Exploration Fund Quarterly, 1892 Vol. 24: 24–35. Contributions to the Encyclopædia Britannica, 11th ed. Eastern Exploration – Past and Future London: Constable and Company Ltd., 1918. 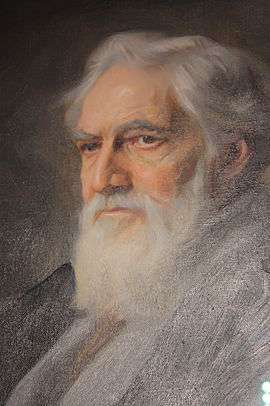 Flinders Petrie, by Ludwig Blum. Painted in Jerusalem in 1937. Sir William Matthew Flinders Petrie, in Jerusalem, ca. late 1930's. Flinders Petrie, as a young man, n.d.
Sir Flinders Petrie, by George Frederic Watts. Flinders Petrie and Hilda Petrie in 1903. Petrie at Abydos, Egypt, 1922. Flinders Petrie, 12 years old, c. 1865. Petrie Exhibiting Material from Tell Fara in London. Flinders Petrie, Luncheon Party at the House of Commons, 1908. ↑ Hirst, K. Krist. "An Introduction to Seriation". About.com Archaeology. About.com. Retrieved 3 April 2011. 1 2 Smith, Sidney (1945). "William Matthew Flinders Petrie. 1853–1942". Obituary Notices of Fellows of the Royal Society. 5 (14): 3. doi:10.1098/rsbm.1945.0001. ↑ "Flinders Petrie Blue Plaque". openplaques.org. Retrieved 3 May 2013. ↑ Stevenson, Alice. 2012. 'We seem to working in the same line'. A.H.L.F. Pitt Rivers and W.M.F. Petrie. Bulletin of the History of Archaeology 22(1): pp.. 4–13. ↑ "Sir William Flinders Petrie". Palestine Exploration Fund. 2000. Retrieved 19 November 2007. ↑ Inquiries into Human Facility and Its Development (1883), pp.66; Galton also noted (on p.66) that, in relation to the slide rule’s markings, “the artist has not put in the divisions very correctly” (illustration at page 97, Plate II, Fig.34).] Galton had conducted research ("Statistics of Mental Imagery", Mind, Vol.5, No.19, (July 1880), pp.301-318.) into the extent to which eminent scientists used "mental imagery". On the basis that Galton, himself, had a great personal ability to create, manipulate and employ vivid mental imagery, he was shocked to discover that most eminent scientists not only did not habitually employ mental imagery, but were also, generally, quite incapable of generating “mental images” at will (Galton, 1880). In order to supply a contrast, Galton cited the extraordinary case of Flinders Petrie -- who could easily manipulate precise technical equipment in the spaces of his own imagination. ↑ Frédéric Colin, "Comment la création d’une 'bibliothèque de papyrus' à Strasbourg compensa la perte des manuscrits précieux brûlés dans le siège de 1870", in La revue de la BNU, 2, 2010, p. 28-29 ; 33 ; 40–42. ↑ "Court Circular". The Times (36787). London. 6 June 1902. p. 10. ↑ "A Future for the Past: Petrie's Palestinian Collection". Retrieved 18 February 2007. E.P. Uphill, "A Bibliography of Sir William Matthew Flinders Petrie (1853–1942)," Journal of Near Eastern Studies, 1972 Vol. 31: 356–379. Joseph A. Callaway, "Sir Flinders Petrie, Father of Palestinian Archaeology." Biblical Archaeology Review, 1980 Vol. 6, Issue 6: 44–55. Janet Picton, Stephen Quirke, and Paul C. Roberts (eds), "Living Images: Egyptian Funerary Portraits in the Petrie Museum.” 2007. Left Coast Press, Walnut Creek. Schultz, Teresa and Trumpour, Mark, “The Father of Egyptology” in Canada. 2009. Journal of the American Research Centre in Egypt, No. 44, 2008. 159 – 167. Silberman, Neil Asher. “Petrie’s Head: Eugenics and Near Eastern Archaeology”, in Alice B. Kehoe and Mary Beth Emmerichs, Assembling the Past (Albuquerque, NM, 1999). Stevenson, Alice "'We seem to be working in the same line'. A.H.L.F. Pitt-Rivers and W.M.F. Petrie. Bulletin of the History of Archaeology, 2012 Vol 22, Issue 1: 4–13. Trigger, Bruce G. "Paradigms in Sudan Archeology", International Journal of African Historical Studies, vol. 27, no. 2 (1994). Wikimedia Commons has media related to Flinders Petrie.